This is a great way to celebrate! We provide the pottery and paints; you bring the food and paper plates. Bring your family and bond together as you create a unique and lasting treasure! 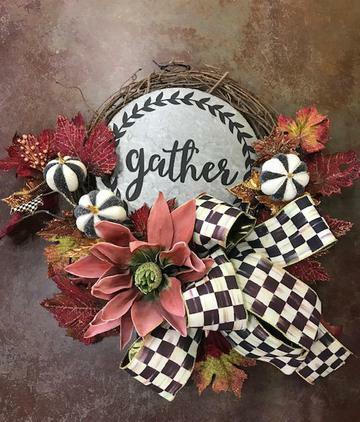 wreath using materials from the Potter's Wheel. $35.00 Registration Fee + supplies purchased at Potter's Wheel. Welcome to the Potter's Wheel. 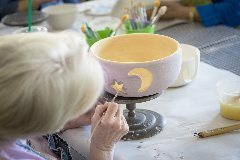 Whether you want to learn about pottery, paint something yourself, give your children the opportunity for artistic expression or just buy a fabulous gift of art, come see the Potter's Wheel today.